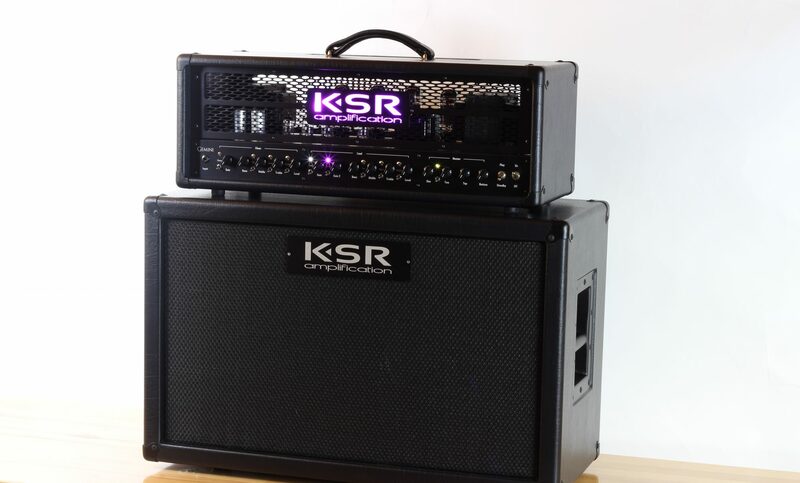 The KSR Amplification RCS/212™ straight cabinet combines unique design with superior construction techniques. Tuned for superb low end performance while minimizing brittle highs, this is the last cabinet you will ever need. Recessed hardware and casters come standard. The cabinet is constructed of 3/4″ Baltic (Russian) birch plywood with locked rabbit joints. During construction all joints are glued, pinned, clamped, and cured for maximum strength. The front baffle is secured with 10 screws from the inside allowing for easy grill cloth replacement. The rear panel is removable with steel screws. All panels and hardware are gasket sealed making for an air-tight sealed cabinet. The handles and rear cover are recessed, further illustrating our commitment to building the best cabinet possible. The front rear-loaded speaker baffle is coupled with a full 3/4″ thick back via a sturdy internal baffle. This ensures solid bass response with little resonance due to standing waves. The end result: Unbelievable bass that is super tight and never ‘boomy’ or ‘flubby’. This is the best and biggest sounding 2×12 cab you’ll ever hear!